Mike McDerment from FreshBooks gave a great presentation on the basics of web application marketing metrics. He focuses on the metrics, systems and reporting that all companies should be building into web and mobile applications. It is a must read for any entrepreneur building a web application. How much does it cost you to get a customer? It’s a simple enough calculation, how much do you spend on sales and marketing to acquire each customer. Roll up your staffing costs, your ad buys, your outbound marketing, etc. How much revenue do users generate? How do you track it? Does it change based on segment? How do you increase it? How long does a customer continue as a subscriber? Does their ARPU change over time? Do you have ways to increase their spend or reduce their churn? View more presentations from Dave McClure. It seems so simple on surface, but as CEOs and startups we need to be committed to building the systems and metrics into our products. I was just floored at MeshU when I heard Dan Martell talk about the Flowtown.com Startup Immune System where they are beginning to use the lower level business performance metrics to automatically rollback design changes based on performance against the baseline. You can only start doing if you’re building on top of metrics. The idea of having automated your software deployment and sufficiently built business metric baselines that you could autoroll back poor performing changes. At Nakama, I wanted this so much. Not because I had bad developers but because we often made design decisions based on limited customer feedback and I wanted the system to protect me from my own hubris. 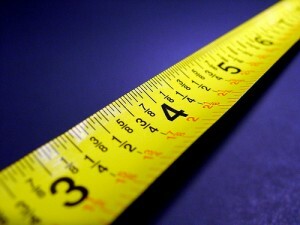 really good article from Startup North on marketing metrics – http://bit.ly/9QTwc3 – inspired by @MikeMcderment, @AprilDunford and @DanMartell, enjoy!